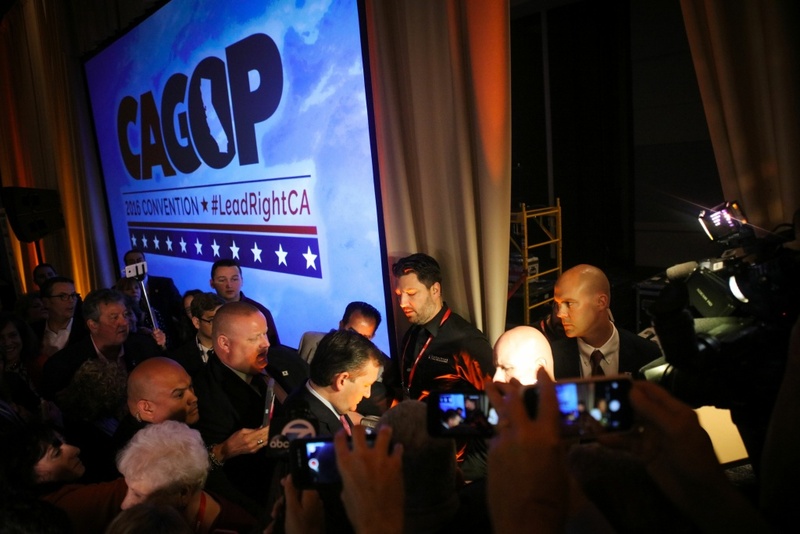 The California Republican Party 2016 Convention in Burlingame, California on Saturday, April 30, 2016. California Republicans face steep competition in this year's elections. Many held out hope that an endorsement in the governor's race would help unify the party behind one candidate, but that didn't happen. Despite that, Jim Brulte, Chairman of the California Republican Party, isn't worried. "The California Democrat[ic] party didn't endorse anybody for U.S. Senate, didn't endorse anybody for Governor, and that, frankly, wasn't the big news coming out of that convention," Brulte said. "So I don't know why it should come out of this convention." A firm nod for either John Cox or Assemblyman Travis Allen would have likely helped the party make it past the primary with a top-ticket candidate. Such an outcome could boost voter turnout in November. Brulte is confident, however, that, even without the endorsement, a conservative candidate will still make it to the general election. "I think it probably would have been a little easier for one of the candidates if the party had endorsed," Brulte said. "Irrespective of that, I believe this will be an election between Gavin Newsom and one of our Republicans for governor." The Republican chairman denies the value of party endorsements. He says efforts on the part of the state party and campaigns will help keep Republicans competitive going forward. When asked about the party's long-term future in the state and principles it will stand for, however, Brulte says: that's up to the campaigns. "The role of the party is to do the scut work: the unglamorous things that are hard work that go into a campaign, and candidates get to choose what issues they talk about. We don't tell them how to do their job; they don't tell us how to do ours."